Watching Cheyenne hit golf balls looks effortless and a series of good swing positions, coupled with good timing, results in very successful golf shots. When the Ricoh Woman’s British Open was staged here at St Andrews Links in August, we were lucky enough to see the leading lights of the women’s game up close. The technique on show was a true pleasure to watch, confirming that fact that golf requires good sequence and technique over sheer strength. One of the best examples I saw was Cheyenne Woods. She comes from a pretty good golfing family and you may have heard of her uncle! 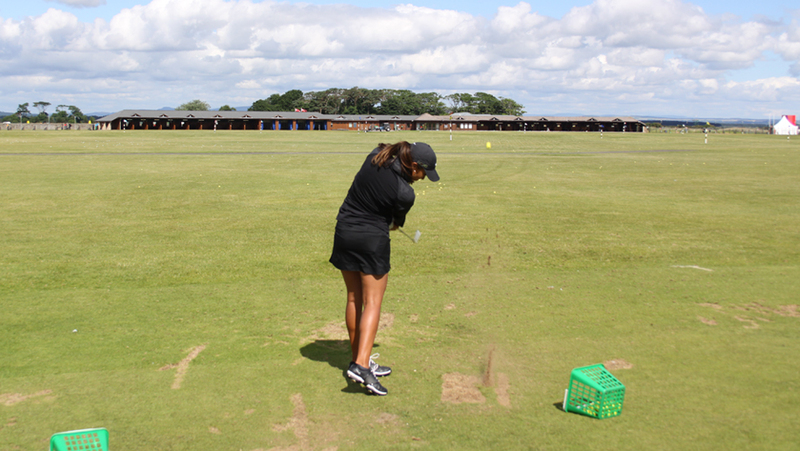 We got the chance to watch a private practice session here at the Golf Academy and it was great viewing. I thought I’d analyse Cheyenne’s swing and identify just what makes it so good. 1. Halfway into the backswing the club is being set into a great position. Shoulders are turning against the quiet and strong lower body. 2. We see an excellent position at the top of Cheyenne’s backswing. The clubface is square, arms are positioned well with the right elbow facing down and left arm straight. The left wrist also flat. 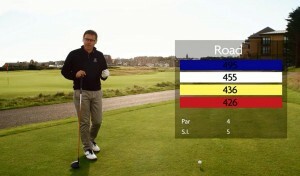 But my favourite aspect is keeping the spine angle perfect; an absolute key in consistent ball striking. 3. Halfway into the downswing, again the club is on a good plane; notice how the end of the grip is pointing straight toward to ball. The legs are supporting the move very well and again, the ability to keep spine angle is very impressive. 4. Through the golf ball the extension is strong along with the club head release. Notice how the club works around to the left of the body with the rotation. This is a position many amateurs fail to set, with their arms instead flying away from the body. 5. Into the finish position, Cheyenne displays great balance. Also, look at the full body turn and rotation, watching the ball’s flight completely facing the target and weight onto the front foot. What I would take from a sequence like this is how guile over brawn will always win the day. Watching Cheyenne hit golf balls looks effortless and a series of good swing positions, coupled with good timing, results in very successful golf shots. Come down to the Golf Academy and one of our teaching professionals can show you a sequence of your own swing and explain where you can improve so you can hit the ball like Cheyenne.